You thought money was real... It's just a game! So why not having our own? The MetaCurrency Project from alan rosenblith on Vimeo. 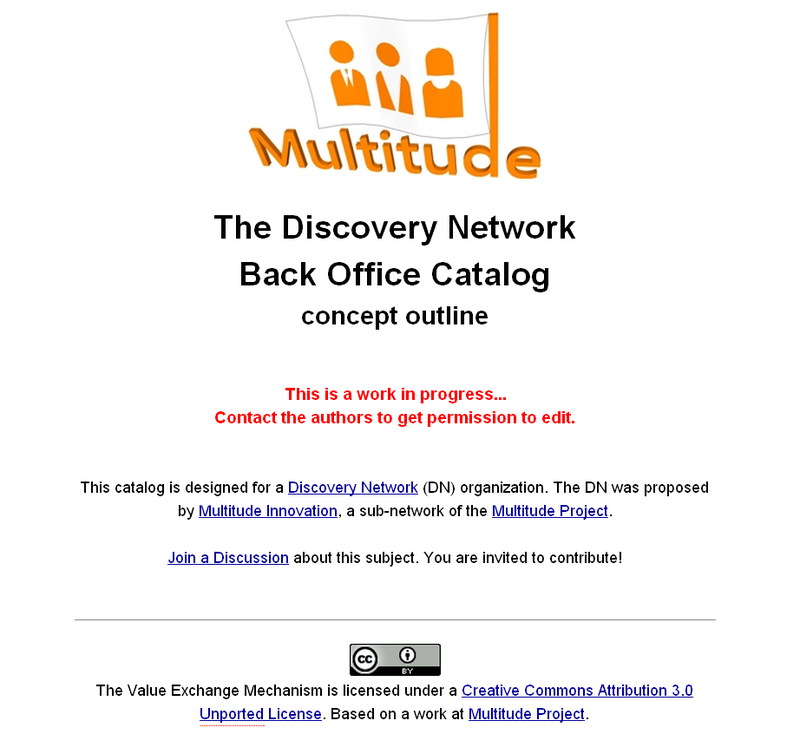 A new component was added to the Discovery Network concept, the The Back Office Catalog. 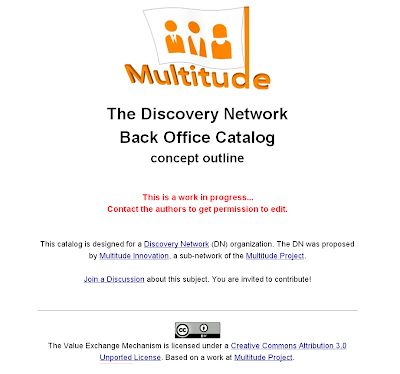 To participate, go to the FORUM.